When you've finished exploring for the day, settle in for a long night's sleep. Located approximately 1 mile from the park office are secluded areas for camping — areas so private that there is often not another person in sight. Both campgrounds are reached by trail and all supplies must be packed to the campsites. Campers must register at the visitor center. Each family campsite has a grill, picnic table and two tent pads. Drinking water and vault toilets are provided. Forgoing a few of the comforts of home is worth it when every stream, tree and flower seems made just for you. Larger groups will enjoy fellowship in the backcountry group camping area. Sites 2-5 can accommodate 10 to 15 people, while sites 6-9 can accommodate up to 25 people. Each site includes a fire ring with grill and three picnic tables. Drinking water and vault toilets are provided. Advance reservations are recommended. 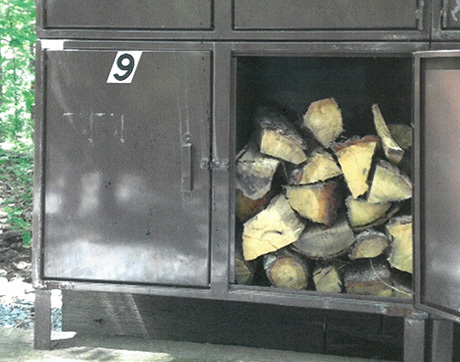 Firewood is available for $5.00 per locker. No outside wood is allowed. Firewood from outside of the park can carry dangerous insects and diseases — such as the emerald ash borer — which can harm the forest.